Brand: Nielsen-Massey Vanillas, Inc. NMV-84002 Units: 2 oz. 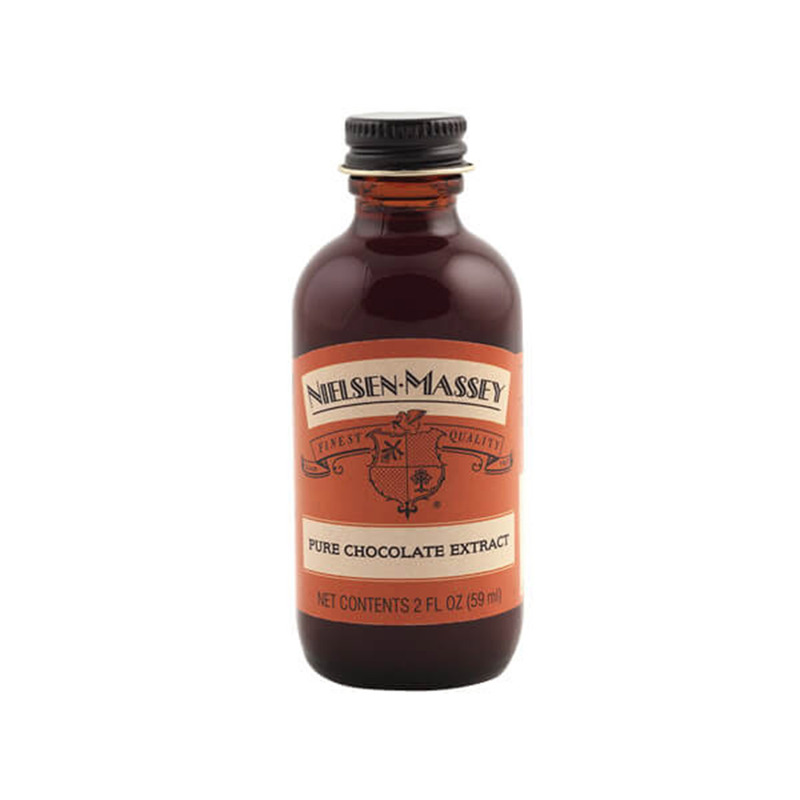 bottle Pure Chocolate Extract offers a rich and smooth chocolate flavor, without sweetness. It pairs well with other favorites such as vanilla, almonds, cinnamon, coffee, nuts, raspberries, maple, mint, coconut, cream cherries and bananas. Add a whisper of chocolate to a wide variety of foods – from cakes, cookies and icings, to coffee, custards and puddings. Pure Chocolate Extract offers a rich and smooth chocolate flavor, without sweetness. It pairs well with other favorites such as vanilla, almonds, cinnamon, coffee, nuts, raspberries, maple, mint, coconut, cream cherries and bananas. Add a whisper of chocolate to a wide variety of foods – from cakes, cookies and icings, to coffee, custards and puddings.